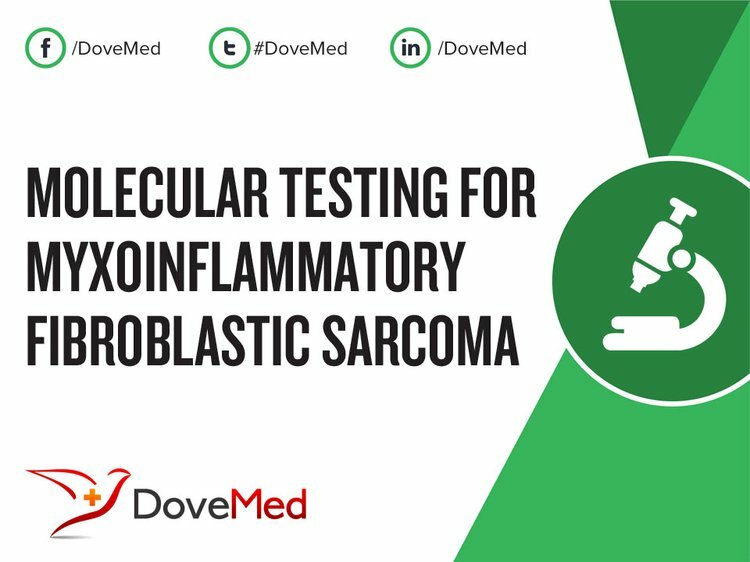 Molecular Testing for Myxoinflammatory Fibroblastic Sarcoma is a genetic test that is helpful in aiding a diagnosis of myxoinflammatory fibroblastic sarcoma. The cause of myxoinflammatory fibroblastic sarcoma is due to genetic mutations. 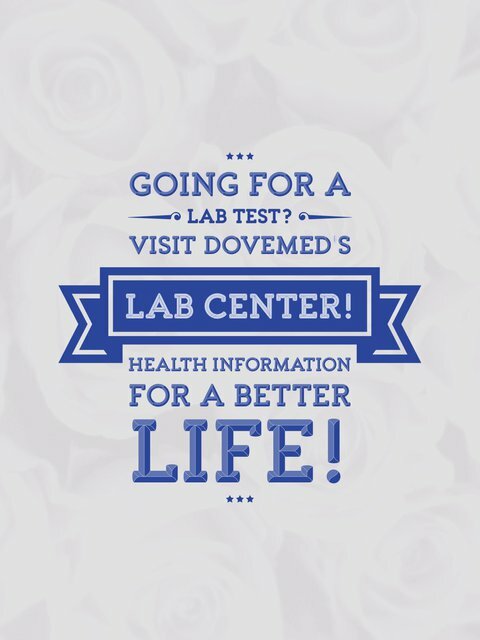 The methodology used for myxoinflammatory fibroblastic sarcoma may vary from one laboratory to another. What are the Clinical Indications for performing the Molecular Testing for Myxoinflammatory Fibroblastic Sarcoma Test? How is the Specimen Collected for Molecular Testing for Myxoinflammatory Fibroblastic Sarcoma? What is the Significance of the Molecular Testing for Myxoinflammatory Fibroblastic Sarcoma Result? Antonescu, C. R., Zhang, L., Nielsen, G. P., Rosenberg, A. E., Cin, P. D., & Fletcher, C. D. (2011). Consistent t (1; 10) with rearrangements of TGFBR3 and MGEA5 in both myxoinflammatory fibroblastic sarcoma and hemosiderotic fibrolipomatous tumor. Genes, Chromosomes and Cancer, 50(10), 757-764. Elco, C. P., Mariño-Enríquez, A., Abraham, J. A., Dal Cin, P., & Hornick, J. L. (2010). Hybrid myxoinflammatory fibroblastic sarcoma/hemosiderotic fibrolipomatous tumor: report of a case providing further evidence for a pathogenetic link. The American journal of surgical pathology, 34(11), 1723-1727. Laskin, W. B., Fetsch, J. F., & Miettinen, M. (2014). Myxoinflammatory fibroblastic sarcoma: a clinicopathologic analysis of 104 cases, with emphasis on predictors of outcome. The American journal of surgical pathology, 38(1), 1-12. Lombardi, R., Jovine, E., Zanini, N., Salone, M. C., Gambarotti, M., Righi, A., ... & Rocca, M. (2013). A case of lung metastasis in myxoinflammatory fibroblastic sarcoma: analytical review of one hundred and thirty eight cases. International orthopaedics, 37(12), 2429-2436. Alaggio, R., Coffin, C. M., Dall'Igna, P., Bisogno, G., Olivotto, A., Di Venosa, B., & Fassina, A. (2012). Myxoinflammatory fibroblastic sarcoma: report of a case and review of the literature. Pediatric and Developmental Pathology, 15(3), 254-258. Wickham, M. Q., Youens, K. E., & Dodd, L. G. (2012). Acral myxoinflammatory fibroblastic sarcoma fine needle aspiration: a case report. Diagnostic cytopathology, 40(S2), E144-E148. CHIU, H. Y., CHEN, J. S., HSIAO, C. H., & TSAI, T. F. (2012). Transformation of myxofibrosarcoma into myxoinflammatory fibroblastic sarcoma. The Journal of dermatology, 39(4), 422-424. Michal, M., Kazakov, D. V., Hadravský, L., Kinkor, Z., Kuroda, N., & Michal, M. (2015). High-grade myxoinflammatory fibroblastic sarcoma: a report of 23 cases. Annals of diagnostic pathology, 19(3), 157-163. Silver, A. G., Baynosa, R. C., Mahabir, R. C., Wang, W. Z., Zamboni, W. A., & Khiabani, K. T. (2013). Acral myxoinflammatory fibroblastic sarcoma: A case report and literature review. Canadian Journal of Plastic Surgery, 21(2). Acciaro, A. L., Gabrieli, R., & Landi, A. (2010). A rare case of acral myxoinflammatory fibroblastic sarcoma at the hand. Musculoskeletal surgery, 94(1), 53-57.